Microsoft to complete acquisition of Nokia's mobile phone division | What Hi-Fi? It has taken a little longer than expected, but the €5.4bn (£4.6bn) deal that will see Microsoft take control of Nokia's mobile phone division looks likely to be finalised this week (25th April). The US computing giant's acquisition of the Finnish company's Devices and Services division had been due for completion in Q1, but had to wait for regulatory backing from Asian authorities. Writing in a blog post, Microsoft's general counsel and executive vice president, legal and corporate affairs, Brad Smith, revealed that completion of the deal follows "several months of planning". He also confirmed some original terms had now changed – including management of online assets and the decision by Microsoft to no longer acquire Nokia's Korean manufacturing site. 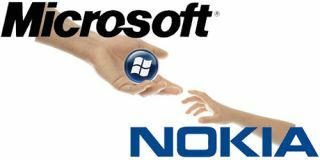 Meanwhile, Nokia Power User has published a leaked letter that claims that the Nokia Corporation/Nokia Oyj name changed to Microsoft Mobile Oy – a Microsoft subsidiary. Nokia marketing chief Tuula Rytila revealed in a blog post from the Finnish company that Microsoft will own a licence to use the Nokia brand for 10 years, plus the Lumia and Asha brands. "On smartphones, we’ll be seeking to create a unified brand across Lumia and Windows. But we understand that the Asha and feature phone range will carry on the Nokia branding," said Rytila. It sounds like the Lumia brand will remain a player in the smartphone market, but will this mean that the Nokia brand – in terms of smartphones – becomes a thing of the past?